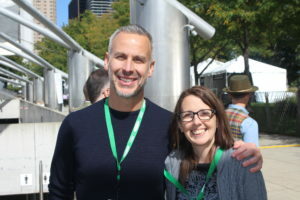 Walking around this year’s event in Millennium Park, guests weren’t only excited about eating (my food favorites were written about earlier this week) but there is a “groupie” kind of mentality of getting to meet some of your favorite chefs who you love face to face. 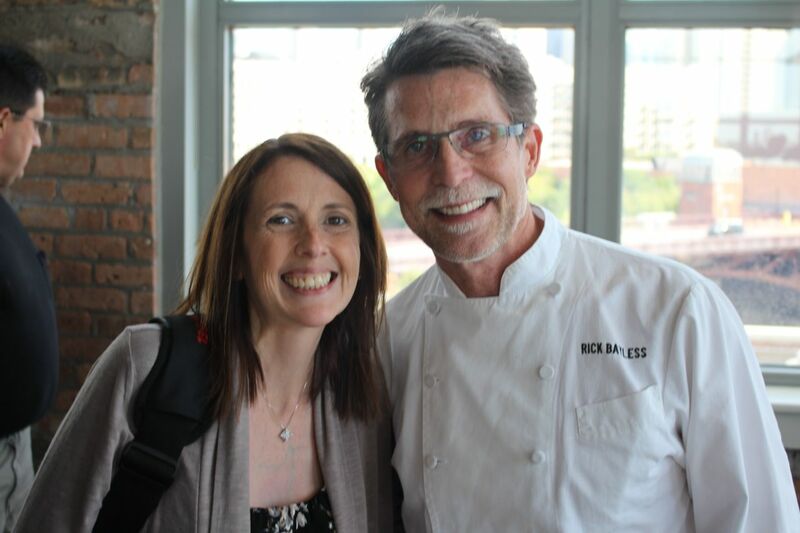 Chef Rick Bayless starts each year’s cooking events with the finese of conductor tapping his baton. 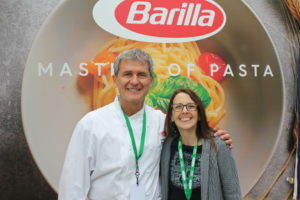 Whether you were searching for chefs seen on your favorite television shows like Top Chef, Iron Chef or Top Chef Masters or chefs who are Michelin Star rated, top selling cookbook authors or local Chicago chef-lebraties, there were a lot of reasons to get excited about the talent showcased this year at Chicago Gourmet. 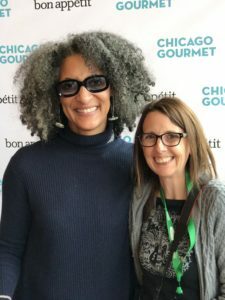 Chef Carla Hall, my spirit chef. ABC Chicago’s Hungry Hound, Best Selling Author (Pizza City USA) and All Around Nice Guy…Steve Dolinsky. 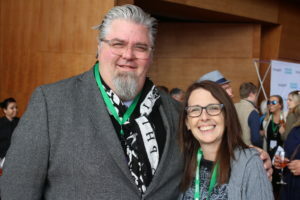 Chef Andrew Zimmerman, Sepia, is one of the first celebrity chefs I met years ago….I go a little fangirl for him! 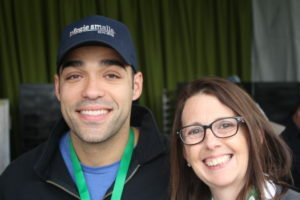 My pal from my cheese bus days, Mario Garcia (720 South)….he puts up with me like a sister! 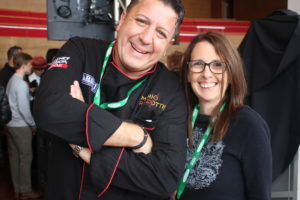 Iron Chef Judge, Mario Rizzotti. 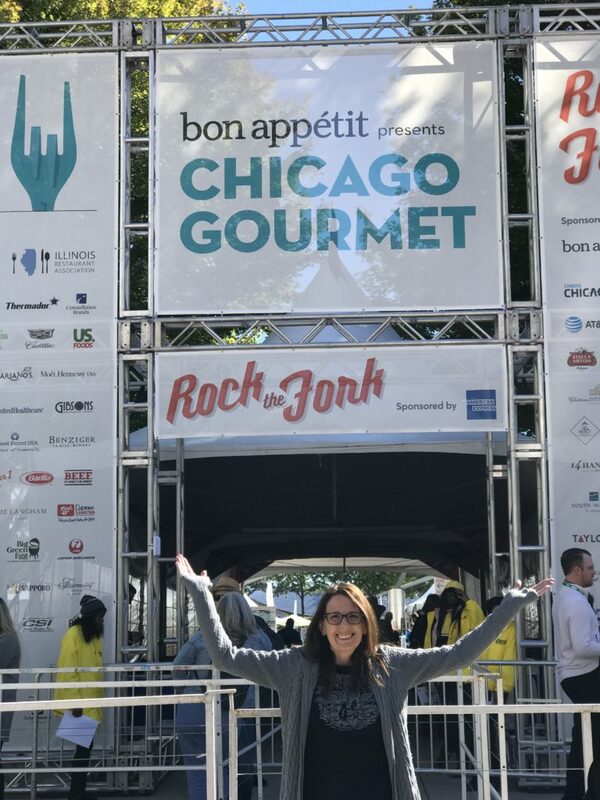 You see, the tasting pavilions at Chicago Gourmet are truly fabulous but part of the thrill comes from the knowledge that Chefs are willing to share in the many live cooking demonstrations. 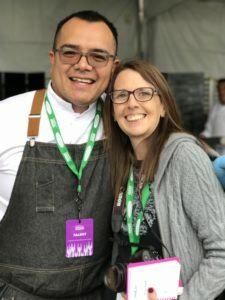 These chefs not only respect food but want us to partake in every aspect of making even the simplest ingredients shine whether we are eating in their restaurants or trying to recreate these dishes in our own home. 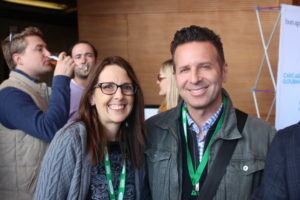 Bon Appetit’s editor Adam Rapoport continues to help home chefs learn with great articles and recipes. 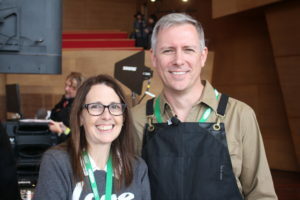 Cooking demonstrations at Chicago Gourmet took place about every 30 minutes on one of two of Bon Appetit’s Culinary Stages adorned with Thermador’s top appliances (is it wrong to say I had cooktop envy?) 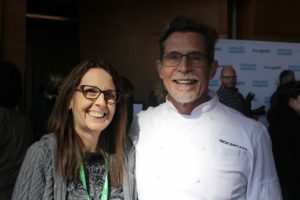 Some of the topics included a Chorizo Cha-Cha Challenge (Chef’s Rick Bayless & Diana Davilia, Bravo’s Top Chef Season 15 cheftestants (winner Joe Flamm, Bruce Kalman and Joe Sasto) in 3 Chefs One Pasta and a Chica’s Brunch with the energetic Lorena Garcia. 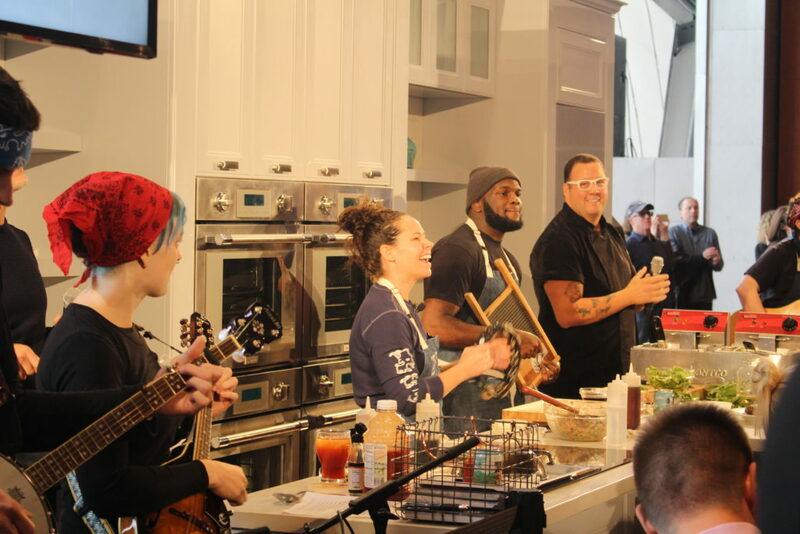 At our demo, Chef Kim took every American’s favorite…a burger… and put his own spin on it with American cheese, hoisin aioli, sweet potato frizzles, pickled jalapenos, pickles and onions cooked in miso butter. It was described as “luxury in your mouth”and he was right. It was a great twist with every part of your taste buds being awakened by the combination of flavors. 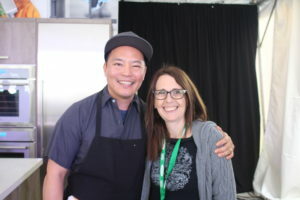 I gained great respect for Chef Kim not only because he loved the food he was creating, he was respecting all the different cultures that makes our world a giant melting pot of creative, innovative food. 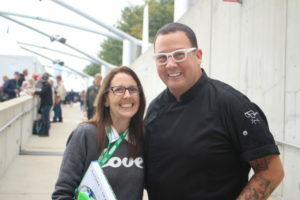 And if creativity in food is what you are looking for…the Tag Team demonstration by Chef Graham Elliot and Chef Matthias Merges (Gideon Sweet) was thought provoking with the statement “there are no right angles” in cooking and food presentation. I took that statement was a lot about overthinking and not just naturally letting the ingredients and dish develop naturally. Watching Chef Merges filet and salt cure a whole trout and Chef Elliot prepare the dish with edamame hummus, frisee with lemon and avocado, epitomized the saying teamwork makes the dream work. 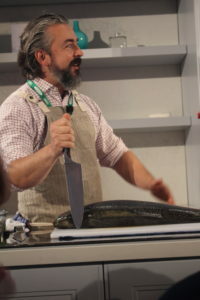 Chef Merges and his trout…and big knife. Not the best picture of the group but truly the best time. 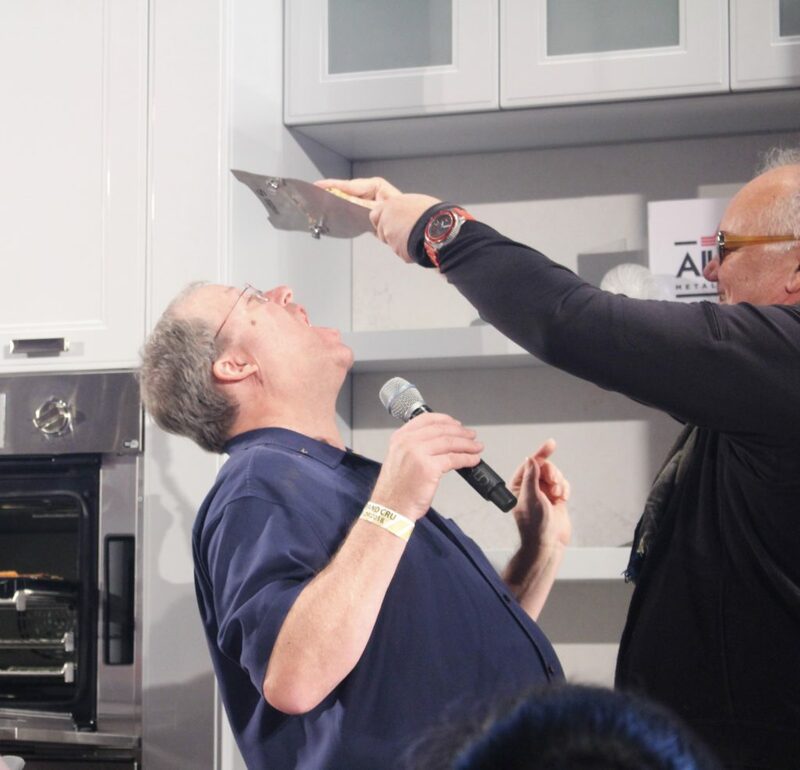 Yes, that is Chef Manuano shaving a white truffle directly into Lin Brehmer’s mouth! 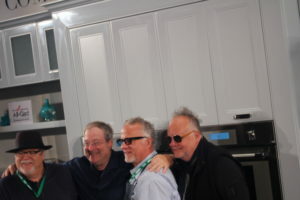 The brother like banter of these cooking marvels overshadows the actual food especially with Lin Brehmer egging them on. 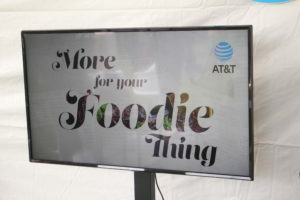 This demo captures the nature of what food does for people….it brings them together! 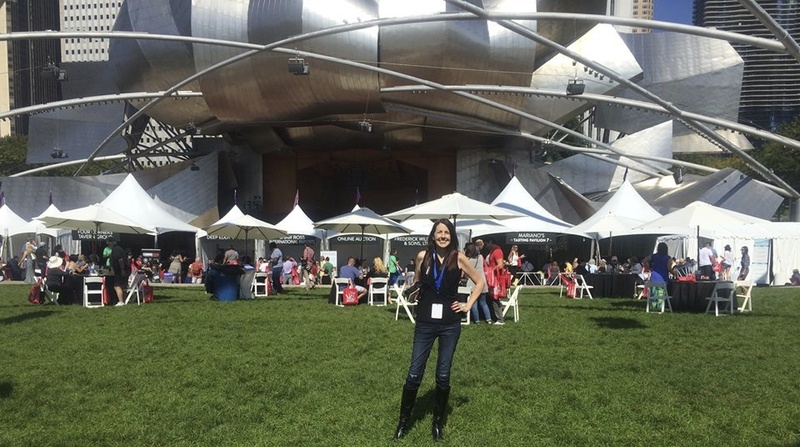 Chicago Gourmet also features seminars with some of the country’s best sommeliers and mixologists for those who appreciate pairing the right beverage with their meals. 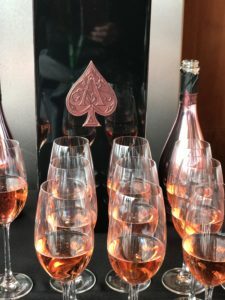 Armand de Brignac Rosé…Ace of Spades Pink Champagne a rich, fruity way to toast a beautiful day. 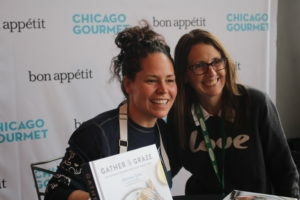 So happy to add Chef Izard’s new book, Gather & Graze to my cookbook collection. Thank you to everyone who puts this event together. This year is what food festival legends are made of and the answer to “Who do you love” can be simply answered by saying….YOU! 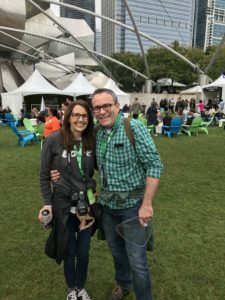 Special thank you to my husband who has been rocking my world for 20 years! I couldn’t do things like this without you.